There are an estimated 8 million permanent residents who are eligible for citizenship but are cautious because of the unknown. It’s a big step. Here’s what many of them want to know. Can I apply for citizenship with an expired green card? It’s expensive to renew a green card. If you intend to apply U.S. citizenship also, it’s understandable that you don’t want to pay for both. You may file Form N-400, Application for Naturalization, to apply for citizenship with an expired green card. The green card must be in your possession. 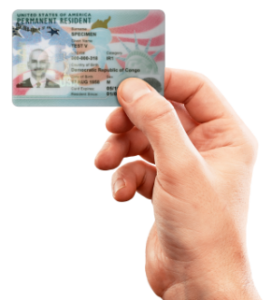 Therefore, if your card has been lost or stolen, you’ll need to replace your green card before applying for citizenship. Although you may use an expired green card to apply for citizenship, you’ll need to consider the next 8-12 months without proof of permanent residence. An expired green card can create other problems. Some of the biggest problems associated with an expired green card include international travel, obtaining employment in the U.S. and obtaining a home loan. In some cases there are solutions that can resolve the problem while you wait for citizenship. Applying for citizenship costs slightly more money that renewing a green card. Over the long term, it’s actually much cheaper. In most cases, the total USCIS fee to file the U.S. citizenship application is $725. This includes the $640 filing fee and the $85 biometrics appointment fee. But, how much does it cost not to apply for citizenship? Compared the long-term costs of remaining a permanent resident, becoming a U.S. citizen is far less expensive. For example, the average 30-year old will pay another $5,313 in USCIS fees over his lifetime if he continues to be permanent resident. Use the Citizenship Cost Calculator to see how much it may cost you. USCIS has made it easier in recent years to pay the N-400 fees. You may pay by credit card. People with low incomes or certain qualifying events may be eligible for a fee waiver. Applicants who are 75 years old or more, do not have to pay the biometrics fee. And finally, those who are honorably serving in the U.S. armed forces will pay no fees at all. Learn more about the costs to become a U.S. citizen. What if I fail the citizenship test? Many applicants are surprised to find that the citizenship test isn’t as difficult as expected. However, if you do fail the test, you will be given another opportunity to take the test at a later date. Study materials have made it easier than ever to pass the citizenship test. After filing Form N-400, you’ll be given an English and civics test. If you know what to study, this can be easy for most everyone to pass. You will only be expected to read, write, and understand simple vocabulary and use basic grammar. You can even study the vocabulary words in advance. The history and civics test has only 10 questions, and you will only need to answer six questions correctly to pass. But these aren’t surprise questions. You can study them before the test from a list of 100 possible questions. For older permanent residents (age 50 or more) or applicants with medical disabilities, there are also several exemptions for the test. Can I apply for citizenship if I forget to register for Selective Service? Forgetting to register for Selective Service can create a major problem if you’re applying for citizenship. Men between the ages of 18 and 26 are expected to register for the Selective Service and provide proof for the purposes of naturalizing as a U.S. citizen. This requirement applies to U.S. citizens, permanent residents, refugees, asylees, and even undocumented aliens. It does not apply to women or foreign nationals in the United States with nonimmigrant visas (e.g. tourists, students, business, etc.). By failing to register for the Selective Service, the applicant will most likely fail the “good moral character” requirement for N-400 and the application will be denied. Applicants that are 18 to 26 years old can resolve the problem immediately by registering for Selective Service at www.sss.gov. Applicants that are age 26-31 are in a more difficult position if they’ve forgotten to register. It is too late to register for Selective Service, and they will not be able to demonstrate good moral character during their most recent five years as a permanent resident. Most attorneys recommend that their clients wait to apply. However, applicants age 31 or older will be outside this window. The failure to register for Selective Service does not affect an applicant’s five-year history of good moral character. Learn more in Failing to Register for Selective Service. How does USCIS determine if I have good moral character? Confinement in jail, prison, or similar institution for which the total confinement was 180 days or more during the past 5 years (or 3 years if you are applying based on your marriage to a United States citizen). If you believe that the “good moral character” requirement may be a problem for you, please contact an experienced immigration attorney before filing N-400. 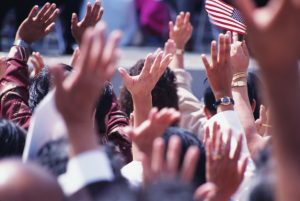 The length of the naturalization process can vary depending on several factors including: the case load at USCIS and your ability to submit a well-prepared application. It will typically take 8-12 months to naturalize after filing Form N-400, Application for Naturalization. It may be shorter for some and longer for others. Read more about each step in What Happens After Filing Form N-400. Am I eligible to file a U.S. citizenship application? For a more detailed explanation of these criteria, visit Citizenship Requirements for 5-Year Permanent Resident. There are exceptions to these requirements for permanent residents who have been married to a U.S. citizen for three years and for applicants serving or who recently served in the U.S. armed forces. To check your eligibility, you can also start the Form N-400 application on CitizenPath. Our brief N-400 eligibility check will ask you the important questions to see if you may be eligible to apply for citizenship. There is no obligation to continue or purchase our service.